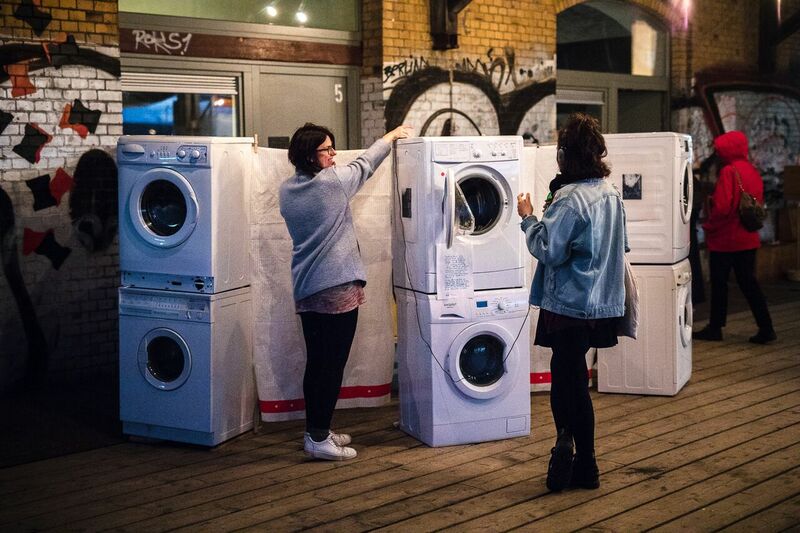 “Waschsalon” is part of a Warm Water Blockchain system in which grey water and waste heat are re-used on a scale of one neighbourhood. 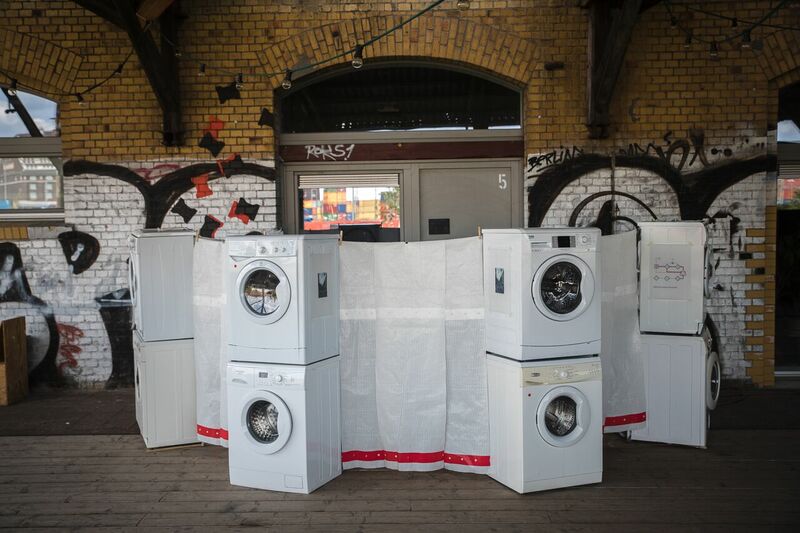 The intervention makes the physical experience of collective washing in public space possible. 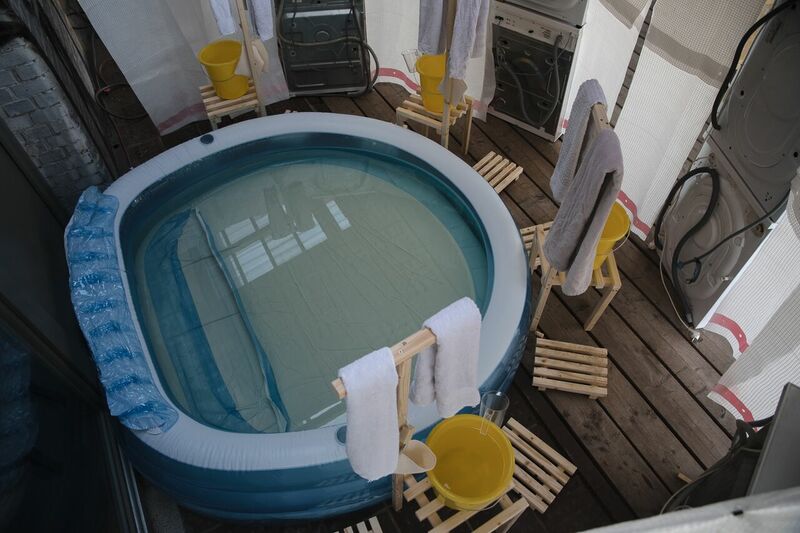 It is inspired by the Japanese Sentho, in which one first washes oneself with a bucket of water and soap before going collectively into the hot bath. 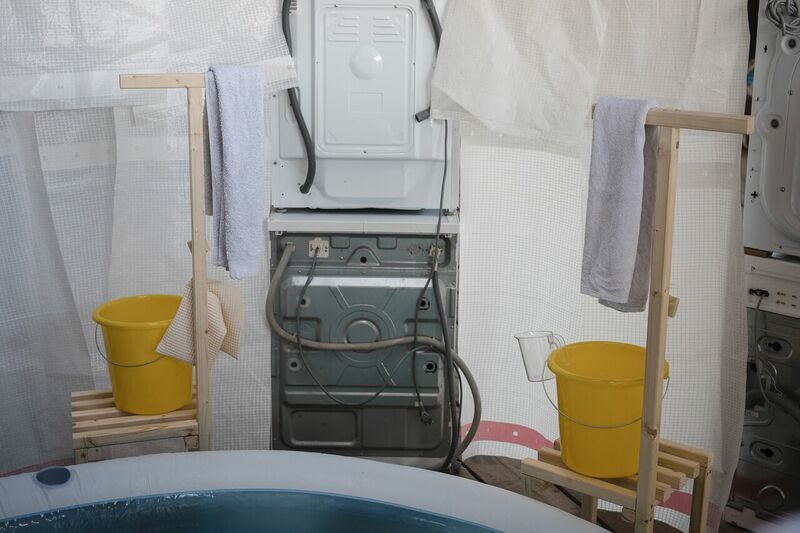 After the bath, the warm water is used for the surrounding washing machines before fed following the roads of the Warm Water Blockchain system. The intervention is using existing fountains in urban space as structures to meet and wash bodies and clothes, seeing how water spots in cities could be activated and could again become places of gatherings – not as a decorative element but as a place where the bathing experience is shared and neighbours are brought together. 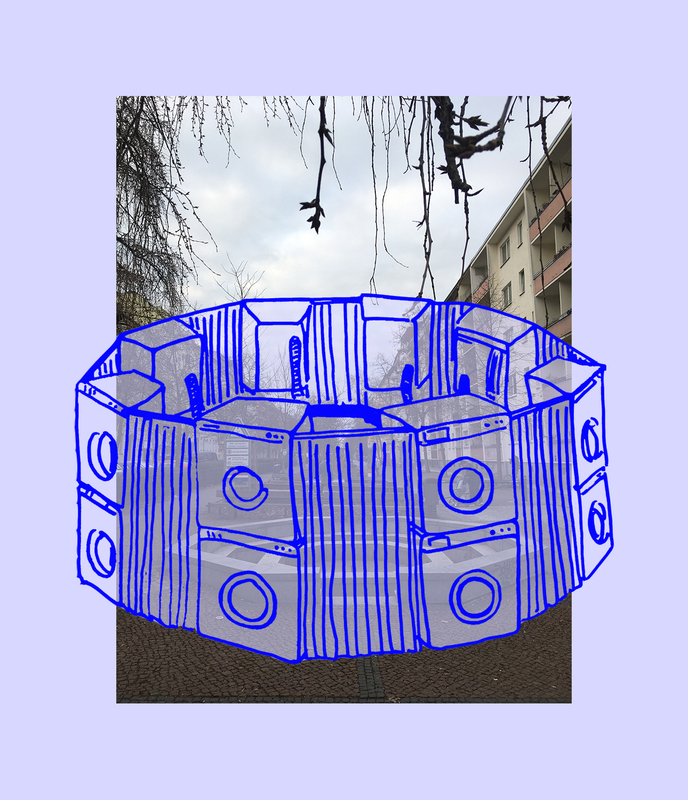 “Waschsalon” reinterprets various cultural concepts of collective bathing and aims to reinvent the intimacy of a public space, bringing bathing from an isolated environment back into public space and contributing to transition from individual routines in hygiene to public rituals. 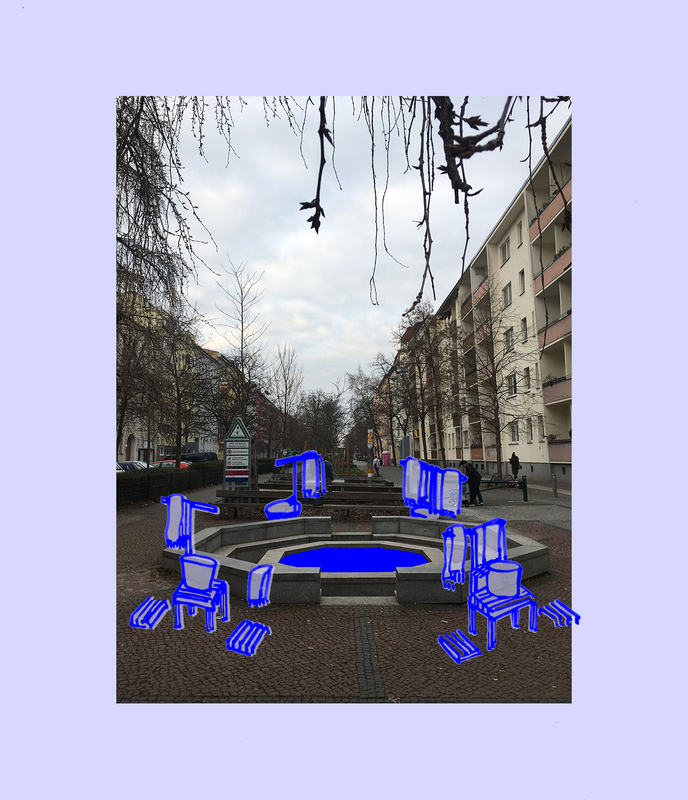 Waschsalon and other interventions explore the sociocultural aspects of public bathing, seeing how engaging in this collective activity requires for our bodies being in an unprotected state of nakedness, allowing to be seen without all aspects that shape our social body. 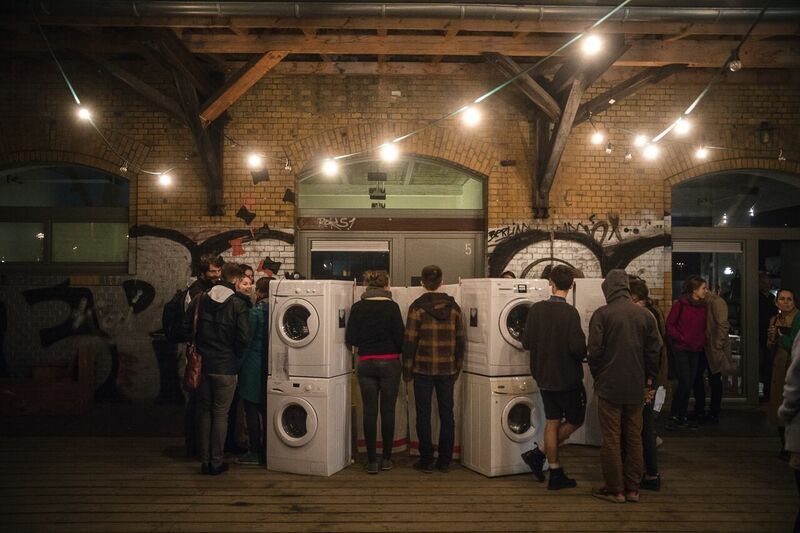 The phenomenon of the collective intimacy would erase the role of a person in the society, presenting them as their true selves, allowing the participants to engage in a different kind of communication, triggering conversations that are touching upon the social, cultural and historical aspects of cleanliness and collective nakedness and environmental advantages of sharing water as a resource.